Planning for the future is an essential part of business and without it you are probably doomed to fail. Planning for the unexpected is somewhat more difficult but a business that can do this is more likely to survive in the long run. There are a myriad of different types of insurance that it would be important to take out for your business - but not that many people are familiar with business interruption insurance. Should your business be struck by a major disaster like flood or fire your business could be left in ruins. The extent to which fire and flood can damage you property and stock can be incredibly extensive and normal insurances will not always cover you fully. Plan for the future with this kind of insurance for your business, not only does it cover you for losses and property damage it also covers you for loss of profit. Most businesses that fold following a major disaster struggle to make up the financial ground that is brought about by their loss of profit. Fire and water damage can leave you without an operations base for your stock or services for months on end and that lack of trading can seriously eat away and your financial standing. Business interruption insurance is your secret weapon is making sure this does not happen. We have all heard of loss adjusters and how they work, but how many of us have heard of loss assessors? Unlike the loss adjuster the loss assessor will by employed by and work for your business following a catastrophic disaster. Knowing about their role before such a disaster occurs can be crucial in getting the best possible payout form the insurance company. As soon as you contact your insurance company they will appoint a loss adjuster to your case. 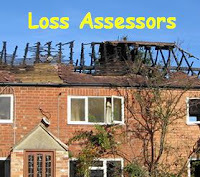 Ideally you need to be employing a loss assessor at the exact same time. A loss assessor will be working to ensure that you receive a fair payout - dealing with all the necessary parts of the claim that you would have had to deal with yourselves. Planning is crucial in business but you should always make sure that you have some contingency plans in place for the kind of things that aren’t as nice to think about.